This is a reproduction cam chain bottom rubber roller for the Z650 models that sits in the crankcases before you put the cylinder barrels on. This is a LISKA product from the USA. 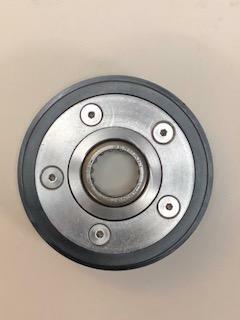 Far superior to the original item because it has a needle roller bearing in the centre of it.